Even though local elementary schools took extra measures to keep students safe against a reported threat, many students still stayed home Thursday. A letter had specified that on or about April 24, a mass violence event would take place, and targeted a school in the Northside ISD. Thursday Police Chief William McManus toured campuses to meet with school leaders. One purpose, he said, was to be visible and to assure parents, staff and others that measures were being taken on all fronts to keep people safe. However, he said, the San Antonio Regional Intelligence Unit and the FBI ruled the threat to be without merit. "We don't believe it to be credible at all. We stand by that," said McManus outside Boone Elementary School. He said an investigation continues, though. The hoax created a serious problem for local districts. Northside ISD leaders reported that 43 percent of students did not attend classes, totaling a $1.4 million loss in state funding. The unprecedented event will initiate an appeal by Northside. "NISD will pursue appealing for relief to the Texas Education Agency for an attendance waiver for today for schools based on school security and safety," said district spokesperson Pascual Gonzalez in a news release Thursday afternoon. Typical daily attendance rates, Gonzalez said, hover around 95 percent. Inside Boone Elementary, principal Carol Borcherding monitored things from a front hallway looking out onto the parking lot, along with several other school administrators. By all accounts, school leaders wanted to treat Thursday as any other day. The day was supposed to be filled with lots of fun activities for all the children before the Battle of Flowers holiday Friday. Borcherding had her staff come in early to have extra adults on campus long before the students arrived, and they eliminated outdoor recess, instead opting to have playtime indoors. Parents also came in to volunteer to keep watch. "We have the watchdog program here, and that's dads who volunteer to help with security, so we've got a couple of our watchdog dads here," she said. Of the 665 students at Boone, 340 were in attendance. 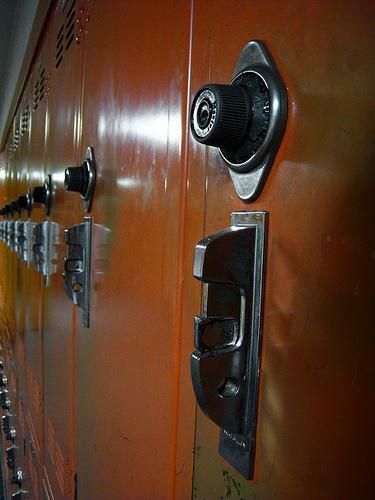 One fourth grader showed up late, insisting to her mom that she wanted to go to school. Worried parents called all week to hear how the staff would keep their children safe. "It does make me sad," remarked Borcherding of the situation. "Parents of elementary school children shouldn't have to worry about these kinds of things. But I absolutely understand their concern and I absolutely understand their reasons for keeping their children home. They want them to be safe. I wish I could have reassured everyone but I understand where the parents are coming from." McManus, too, said it was up to each parent to decide how they wanted to handle the situation. But everyone is working together, he said, to see that San Antonio children can learn without fear everyday. Thousands of San Antonio kids are ending up in adult courtrooms over "Failure to Attend School" (FTAS) violations. In 2012, a third of all class C misdemeanors filed against minors were FTAS in Texas. The state saw 76,000 cases in courts that year, according to Texas Appleseed. A new public image campaign launched last week by Bexar County schools is aimed at making you aware of how great public schools are doing in the face of dramatic hardships. The "Go Public" campaign asks people to look at the multiple roles public schools have been asked to take on and to tell their stories supporting them. Northside Independent School District’s community bond meetings began Thursday in an effort to define the most critical needs for the largest school district in Bexar County. Their next bond issue is planned for 2014. The city of San Antonio’s population growth is reflected in its most popular school districts, and NISD is no exception. NISD spokesman Pascual Gonzales says the district’s population of over 100,000 is growing by about 2,500 students a year. After a full year of testing a radio frequency identification project at two of its campuses, the Northside Independent School District has decided to discontinue its student locator pilot at John Jay High and Anson Jones Middle Schools. Students at Jay and Jones will no longer have to wear the RFID badges that projected their location on campus to school administrators. The $270,000 project started last fall as a way to take student attendance.